Cute Jewellery by Chelsea Doll: Summer's Nearly Here! Last week, we came across this gorgeous photo on WAH Zine - the blog that pays homage to women and what it feels like to be one. We couldn't capture summer any better if we tried. 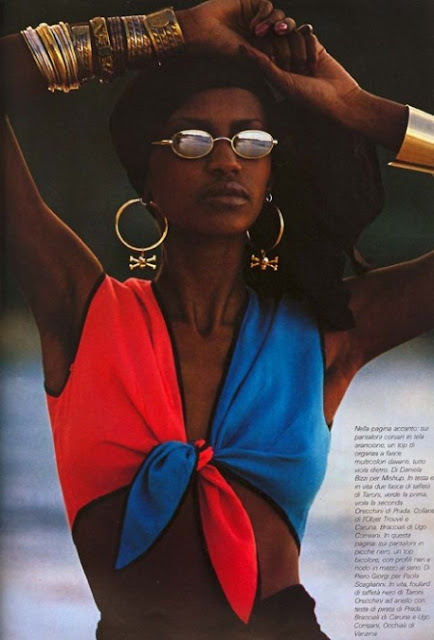 Sunnies, over-sized hoops, a retro tie bikini and bangle stacks! THIS is what summer's all about! We hope that you're revelling in the sun today!